Profession… aspiring writer. He lives by the poetic ideal of beauty, truth, and love– but this ideal doesn’t translate well into money. He wants to eschew traditional values of monetary gain, and live as a member of the Bohemian movement. To pay the bills, he is helping some performers to write a show that they want to sell to Harold Zidler, who owns the Moulin Rouge. Interests… singing. Although he lives during the turn of the twentieth century, his songs sound more like those that Elton John wrote in the 1970’s. Challenge… sticking to his romantic ideals in the face of an unforgiving world. 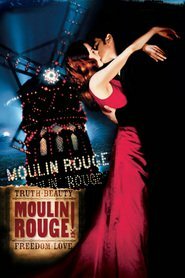 How can he believe in beauty, truth, and love, when greed and death lurk just outside of the walls of the Moulin Rouge, and maybe even within them? Personality… romantic, creative, a gifted writer, and extremely emotional. He has a propensity to fall in love easily, due to his exaggerated romantic ideals. Christian feels everything in an intense way, and he channels these emotions into his writing. He writes about what he experiences, and turns his joy and pain into creative energy. Christian's popularity ranking on CharacTour is #1265 out of 5,000+ characters. See our top-ranked characters and read their profiles.